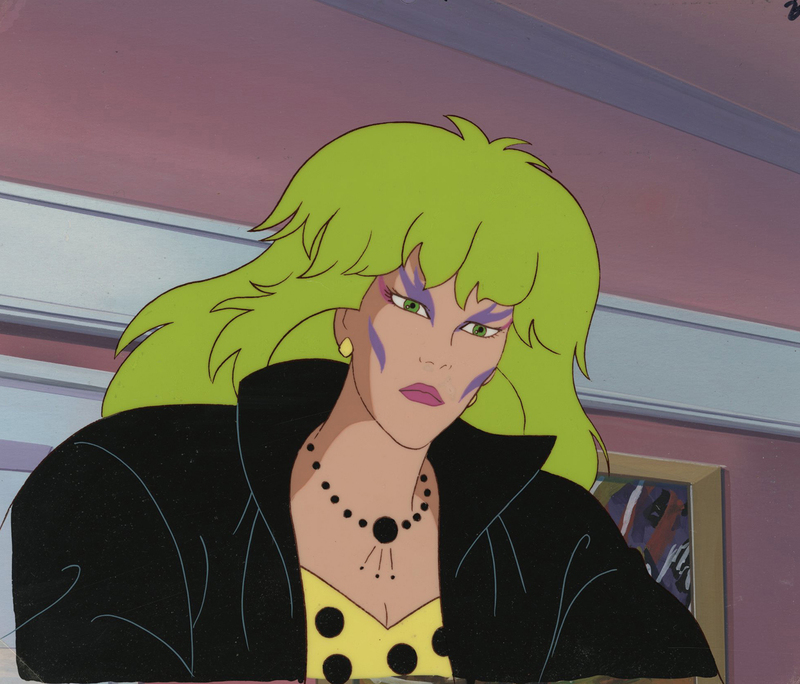 This is an original production cel and background featuring Pizzazz that was used in the production of the animated series, Jem. 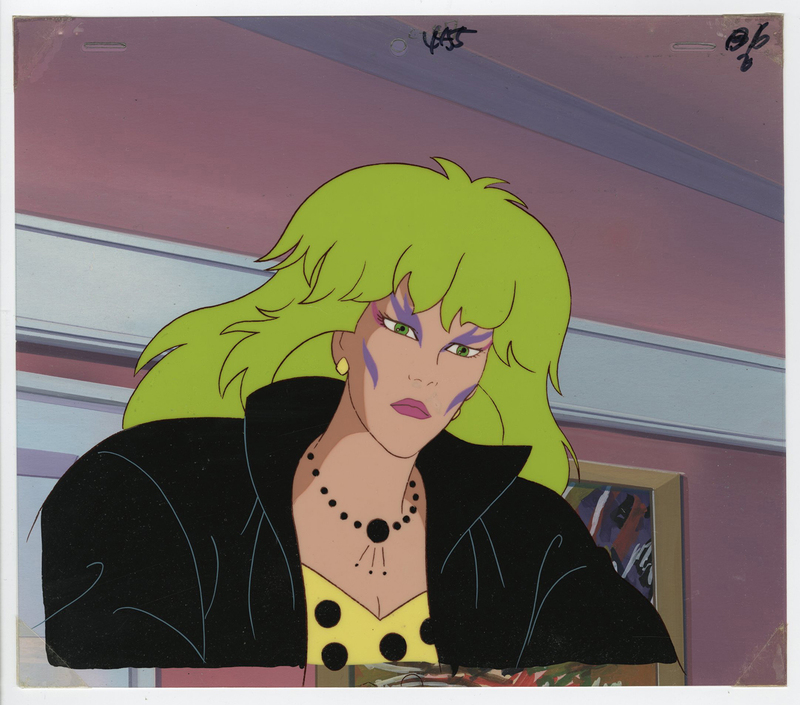 The background and cels measure 9" x 10.5" and the character image measures 7" x 9". The cel is attached to the background with paint, staples along top edge, and tape along bottom edge.